Soooooo…. 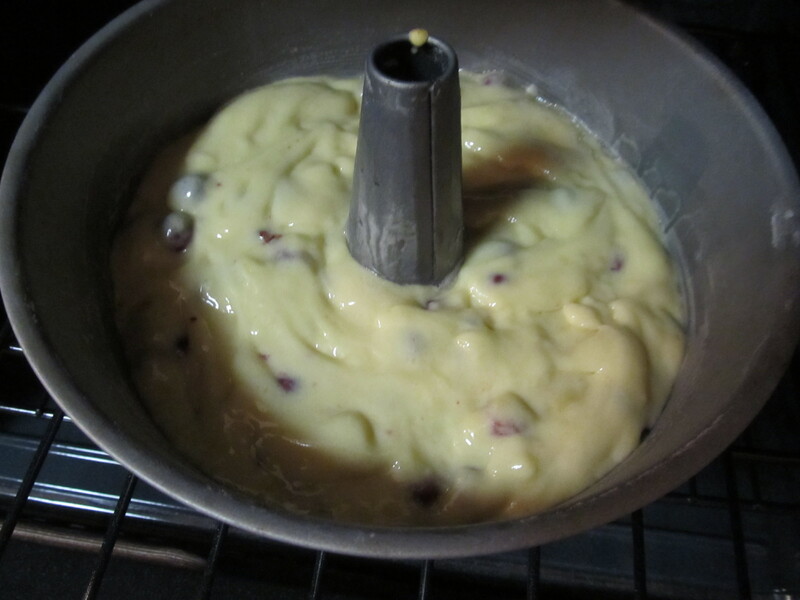 Without a stand mixer and using a hand mixer stuck on one speed, did not provide the support I needed. My butter never creamed so I had a “batter” the consistency of cookie dough. Will let you know how it turns out…..
That’s strange Liz….was your butter soft enough? I hope it still came out allright! It was DENSE!!!! 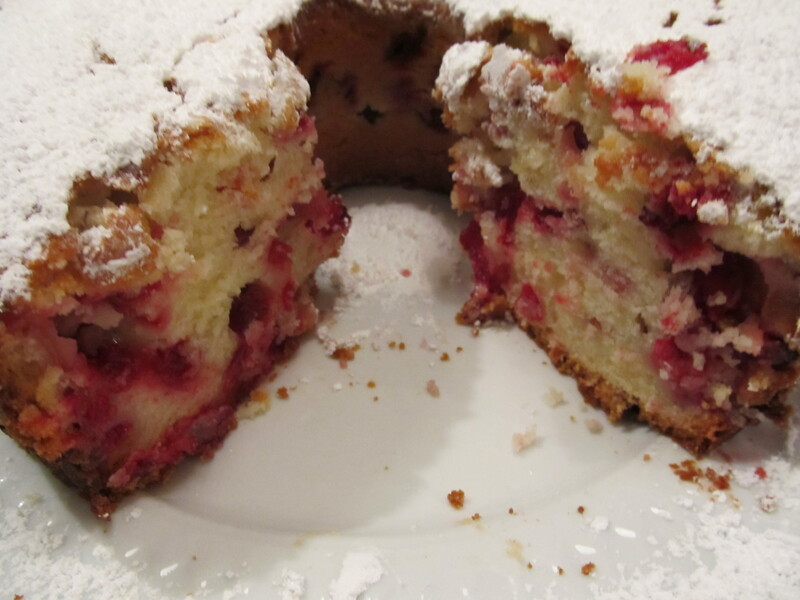 Good but more like a pound cake. That’s so great to hear, Liz!!! And meant to ask you… is it pretty sweet? 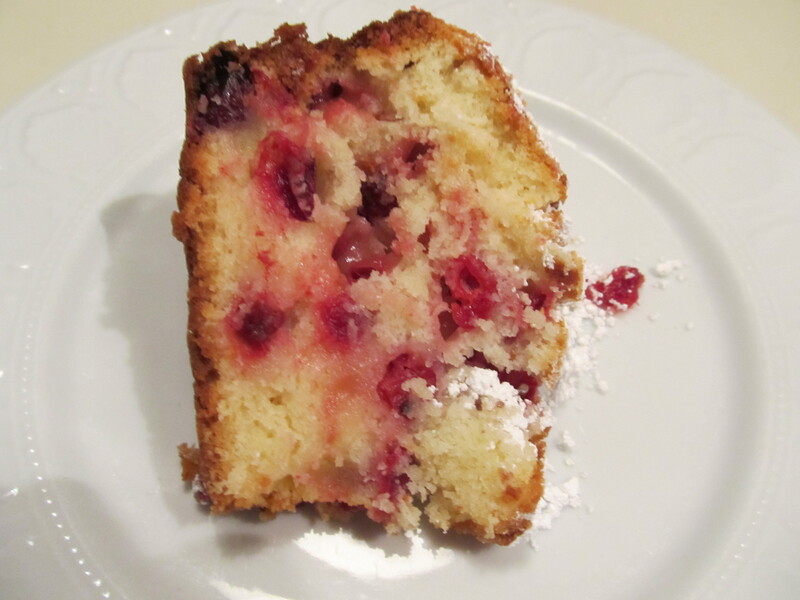 I’m always looking to cut the sugar in my cakes, and was going to go half on this one, but am hesitant because of the need to cut the bitterness of the cranberries. Any thoughts? Can’t wait. 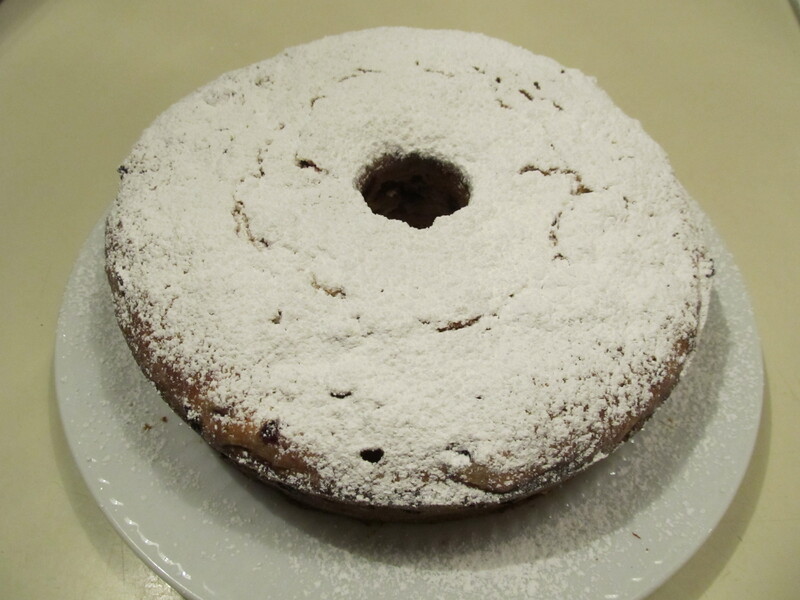 Looks like the perfect Christmas morning cake! 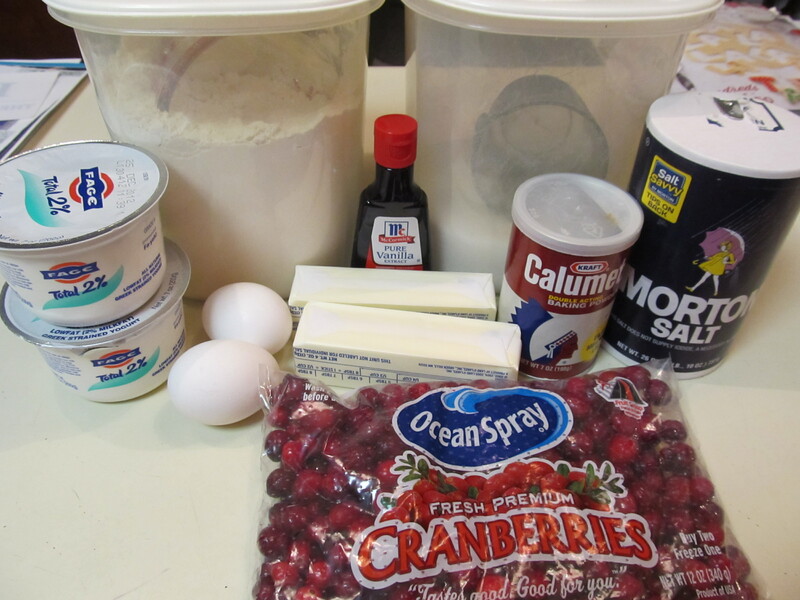 Two factors make it a little less sweet: cranberries and greek yogurt. 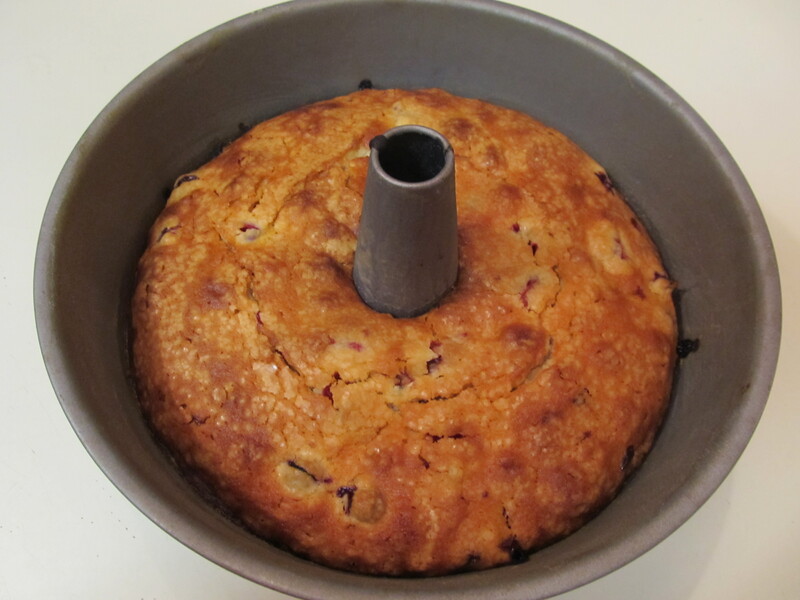 I have made a blackberry greek yogurt cake that I felt to be sweeter than the cranberry version. I wouldnt cut half the sugar – you can try to cut down a smidge on this one. But i think you need to give it a whirl first to see what you think. I think serving this on xmas morning would be perfect! It’s really festive and a nice breakfast cake. Oh, and maybe dont attach a magnetic chip-clip on christmas morning 🙂 Hahahahaha we’ve all been there! Thanks for the feedback – you were totally right. I went full sugar and it isn’t too sweet. Turned out great. Might garnish with some mint on xmas, but this is an easy keeper and quite tasty. Thanks! I was very excited to try this today. It wasn’t smelling too good as it was cooking, much to my dismay. Apparently, attaching a magnetic chip clip to the cake pan while it is baking in the oven will cause it to smell pretty bad. Ditching cake for round 2, since the oven smells disgusting and don’t want to risk it. Round 2, here I come! Will let you know how it turns out.